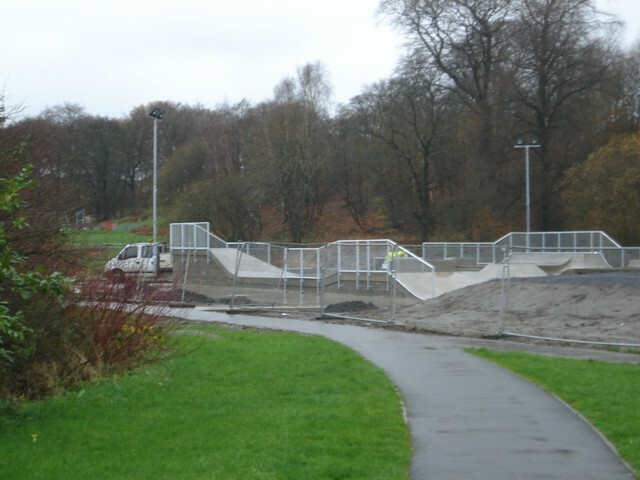 After a long wet summer followed by a very, very damp and wet autumn, the Kirkintilloch Skatepark is finished! 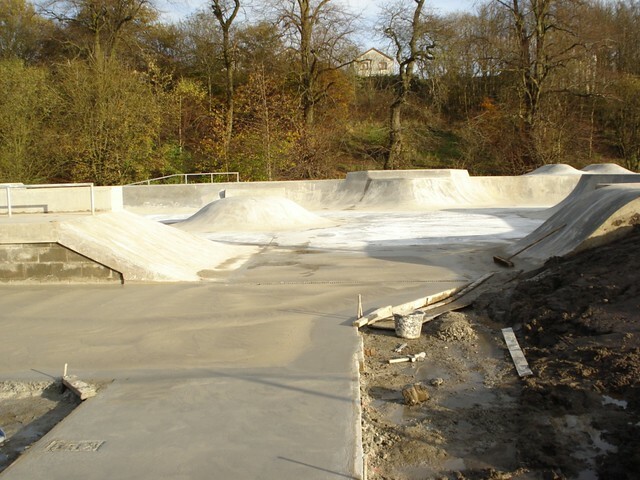 And it looks sick All it needs now is some dry weather and skaters. 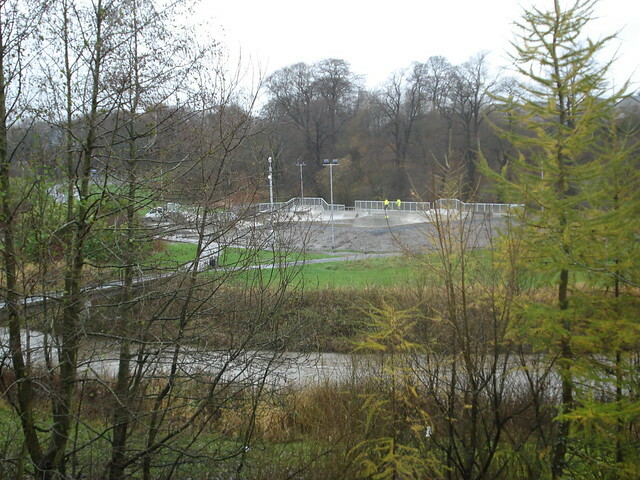 And that is exactly what they expect on Saturday 28th November when it will be officially open and complete. Duracrete pulled out the other day and the guard rails are now up. 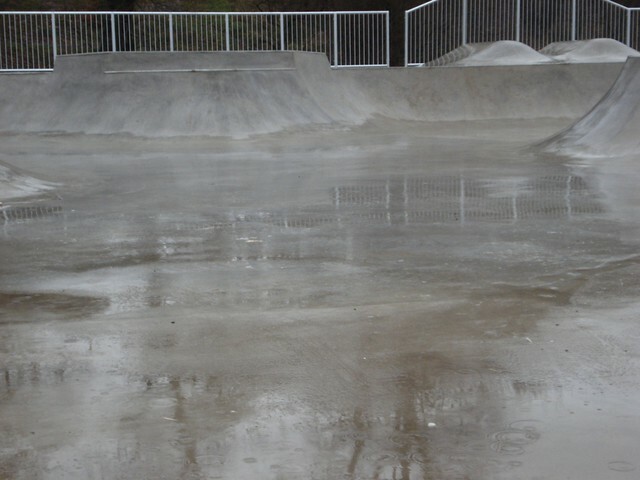 The surface has been swept but there are still some sand and leaves around. 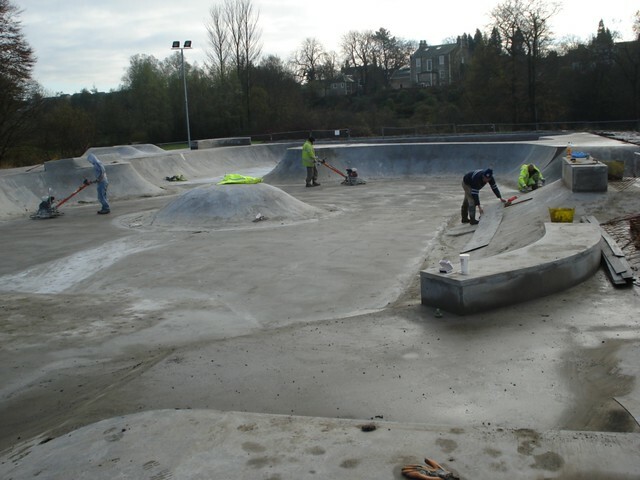 Thanks to Dave Partridge of Carve Skatepark Design for imaking the local skaters wish list into a great design and to Bendcrete who built it the way they wanted it. Big props to Tea Bag mum for getting involved and getting this built.